Abu Dhabi, 12 January 2011: In a guide to U.S. exhibitors attending the World Future Energy Summit, the President of the United States of America, Barack Obama, acknowledged the role of Abu Dhabi’s WFES in increasing economic growth and creating jobs. 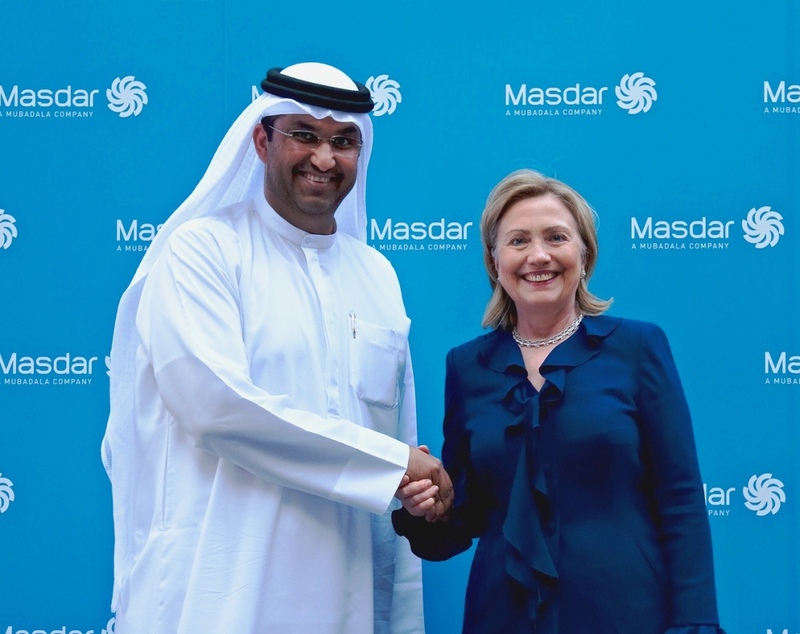 The letter follows on from Secretary of State Hillary Clinton’s visit to Masdar on Monday. President Obama’s recognition of WFES comes on the heels of a visit this week from U.S. Secretary of State Hillary Clinton to Abu Dhabi where she toured the Masdar Institute of Science and Technology – a graduate level institution dedicated to innovations in clean energy and established in partnership with the Massachusetts Institute of Technology. She emphasized the strong relationship between the United States and the United Arab Emirates and also praised Abu Dhabi’s commitment to the development of renewable energy and climate change mitigation. “I want my country to know how advanced you are in pursuing clean renewable energy. I want the world to know that the US is partnering with you because we are betting on Abu Dhabi and the UAE,” said Secretary of State Hillary Clinton. WFES received a further message of support from the US Ambassador to the United Arab Emirates, HE Richard G. Olson in the guide to exhibitors. “I am pleased to lend my endorsement to the U.S. Department of Commerce’s recognition of the World Future Energy Summit that has evolved as the world’s foremost and must-attend annual meeting for the renewable energy and environment industry,” wrote Ambassador Olson. Focusing on renewable and future energy solutions, innovations, investments, policy and vision, WFES will be held at Abu Dhabi National Exhibition Centre, ADNEC, from 17th to 20th January 2011 and expects more than 25,000 attendees from around the world. The Summit that will cover a wide range of themes including energy policy, investment and funding, green buildings, clean transport, solar, wind and biofuels. The video of Secretary Clinton’s speech is available here: http://www.youtube.com/watch?v=0hfZ3NfvTNw. Masdar is Abu Dhabi’s multi-faceted initiative advancing the development, commercialization and deployment of renewable and alternative energy technologies and solutions. The company serves as a link between today’s fossil fuel economy and the energy economy of the future - developing the “greenprint” for how we will live and work tomorrow. Backed by the stability and reputation of the Mubadala Development Company, an investment vehicle of the government of Abu Dhabi, Masdar is dedicated to the emirate’s long-term vision for the future of energy. World Future Energy Summit “WFES” was inaugurated in January 2008. It has evolved as the world’s foremost and must-attend annual meeting for the renewable energy and environment industry. In 2010 WFES uniquely brought together more than 24,790 attendees from 148 countries including world leaders, international policy makers, industry leaders, investors, experts, academia, intellectuals and journalists to find practical and sustainable solutions for today’s energy security and climate change challenges. WFES promotes innovation and investment opportunities surrounding renewable energy and environment. It represents an unrivalled business platform bringing together project owners and solution providers with investors and buyers from both the public and private sectors.